Many Chinese companies are known for their blatant copyright infringement. Mercedes-Benz vehicles are no exception. Recently, another rip-off came out in the Chinese market that copied the looks of the Mercedes-AMG G63 6×6. The Mercedes-AMG G63 6×6 clone is known as the “BJ80 6×6”. The six-wheeler copycat just made its debut at the recent Beijing Auto Show. 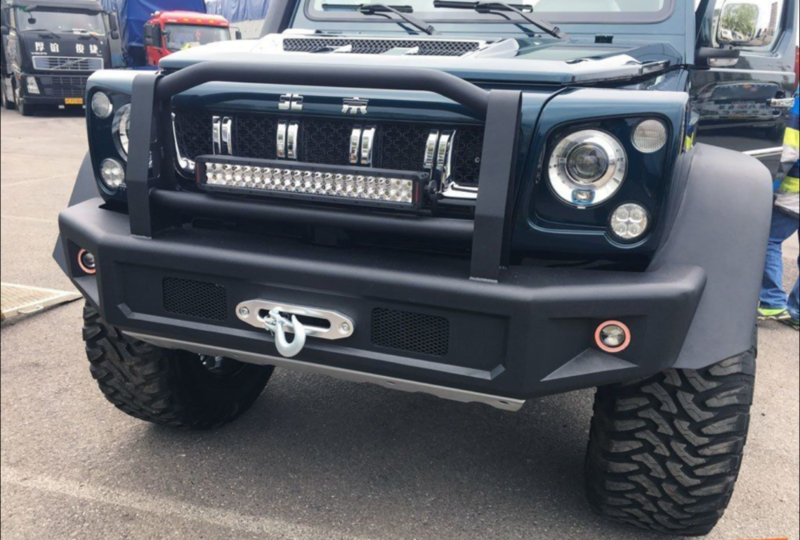 The body, especially the front end of the BJ80 6×6, unmistakably got its design from the Mercedes-AMG G63 6×6. It is surprising to note that the vehicle was made by Beijing Automotive Industry Holding Co. or BAIC. It should be noted that the Chinese automaker has strong links with Daimler. In fact, the parent of Mercedes owns a small share in BAIC. So, we couldn’t help but wonder why the German luxury car maker allowed such travesty. Also, why did BAIC green-light the project in the first place? 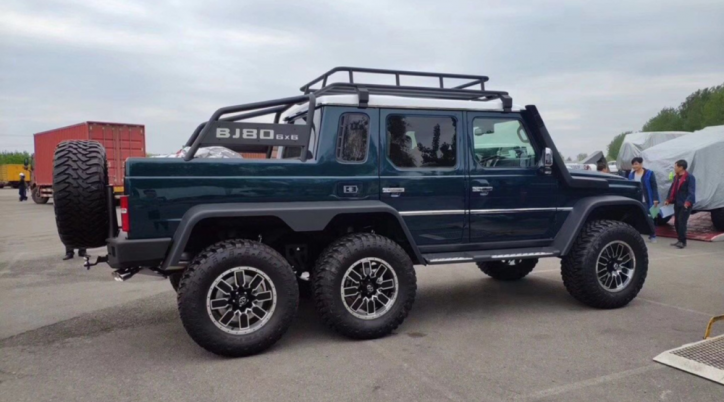 While the exterior of the BJ80 6×6 certainly stole the design of the AMG G63 6×6, the Chinese rip-off failed to emulate the performance of Mercedes’ six wheeler. Within the copy is a 2.3-liter turbo inline-four. That is only good for 250 hp. Given the mass of the BJ80 6×6, this type of engine output is not enough. The power is just nearly the equivalent of the current Mercedes-Benz C 300 sedan’s 241 hp. 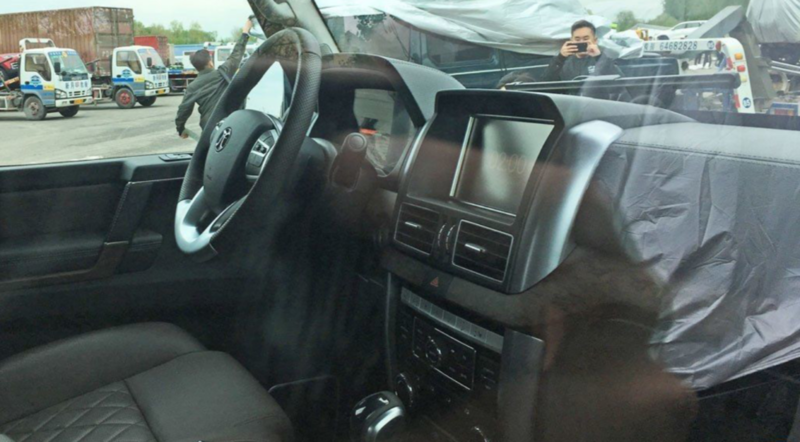 BAIC made a poor job in the cabin of the AMG G63 6×6, too. It is so bland and no different with the ones found on common cars. Overall, BAIC didn’t even make an effort to improve their Mercedes-AMG G63 6×6 clone. The Mercedes-AMG G63 6×6 replica based on the Suzuki Jimny made by the students of Nihon Automotive Technology School was even more creative and better engineered than this.